These days it seems rare that I discover someone's book before their blog. I discovered this vegan cookbook by food blogger Angelea Liddon earlier this month during national vegetarian week. After checking out Angelea's vegan blog Oh She Glows I promptly order her similarly titled book Oh She Glows from Amazon. The notion of glowing from the inside instantly captured my imagination. There have been so many things recently echoing home the message that you are what you eat and if you cook from this book you're likely to be as vibrant and colourful as the juicy vegetables leaping from the pages. When I first skimmed through the pages it was the sweet desserts that got my attention but the first dishes I made were savoury. The recipes are simple to put together which makes them perfect for week night dinners. We've already enjoyed the empowered noodle bowl and the broccoli and cashew cheese quinoa burrito only I made ours with rice. I've also earmarked several of the sweet dishes like the homemade caramel Yolos to try too. 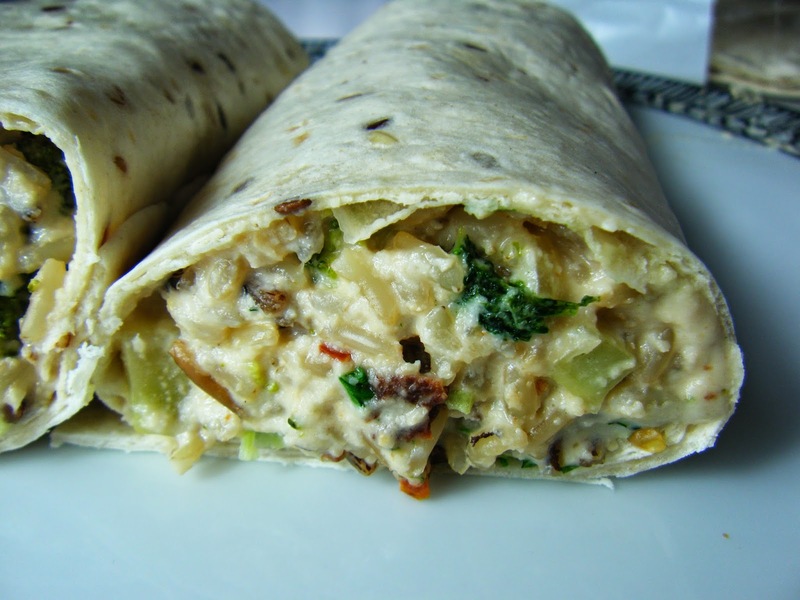 The burrito is made with a cashew cream which is touted as a vegan cheese replacement. I was keen to try it but I'll admit I was skeptical that it would be anything like as satisfying as oozy melted cheese. It did come close but it just wasn't quite cheese. The cashew cream was thick and creamy with a hint of mustard and it worked perfectly with the broccoli. For me it lacked that fabulous stretchy elasticity that melted cheese has but then it probably also lacked the fat. 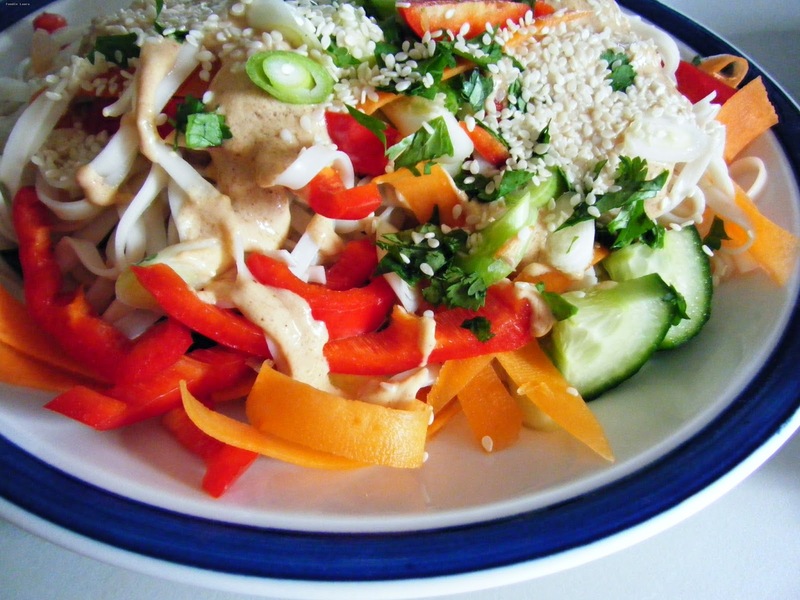 I'll be making the cashew cream again when I try out Angelea's Life Affirming nacho recipe. I thought that I'd really notice the lack of dairy products when making a vegan dish but the recipes are beautifully put together and I didn't notice at all. The book also has a great index of tips and ingredient descriptions to introduce first timers to vegan cooking. I'd like to make the cookbook review a monthly feature do you have any favourites to recommend?